This booming downtown offers a wide variety of housing options with a distinct midwestern vibe. 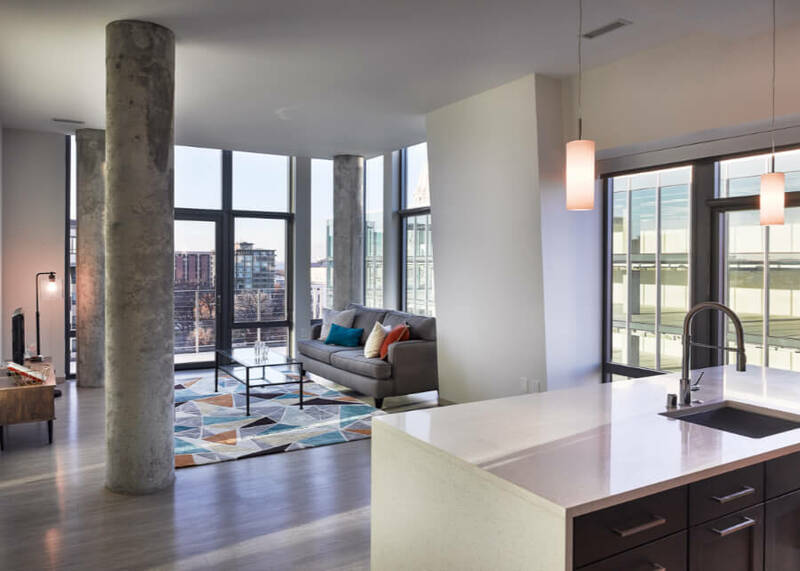 From high-end condos to eclectic student apartments there’s a place for everyone. Downtown living offers easy access to entertainment, the lakes, Madison Metro and great bike trails. Hundreds of retail, restaurant and service businesses within walking distance make this the perfect place to call home. Condos on the Capitol Square offer gorgeous lake views and easy access to everything! Luxury condominium homes and office space on Madison’s Capitol Square. A Mullins Group project. Real estate firm specializing in residential, investment and construction transactions. Keys cut while you wait. Locks and safes sold, installed and repaired. Offering hair, nail, waxing, make up, skin and massage services. Full-service commercial printer, from planning and design through production and more. AT&T store to buy smart phones, cell phone accessories, and DIRECTV services. The nation’s largest fully independent student newspaper serving the UW-Madison. Efficient and results-driven women's fitness program. Historic condominiums in the heart of downtown Madison. Much thought and care went in to providing our clients with a personable and relaxed atmosphere, while also retaining a level of professionalism that is unmatched in our industry. Your safety is our priority; that is why when you visit any location you will be greeted with a staff that works to maintain the highest level of training and excellence. Personal, small business, commercial banking; wealth management. Lobby, drive-up, ATM. Local photographer focusing on portraits and head-shots to use for businesses, marketing, and online profiles and to hang on walls and give to children, parents, and partners. Offering deep tissue massage, reiki, hot stone, and more. Madison’s first and only beauty spa exclusively dedicated to eyebrow and facial threading. Home and commercial architecture and interior design including Conceptual Design, Site Planning, Feasibility Studies, Structural Design, Construction Administration. Local tailor offering clothing alteration and repair services. Formerly a bed & breakfast, converted to elegantly furnished rental apartments. One and two bedroom apartments and town homes close to State Street and the Capitol Square. Luxury condominiums close to the Capitol Square. Dr. Scott Sanderson DDS. Located inside the US Bank Plaza. Apartment rentals and commercial properties. Full service Aveda Concept salon/spa. Offices for City of Madison and Dane County departments. A locally owned property management company specializing in downtown apartment homes and houses. Professional hair care and other services; quality products for men and women. Barber shop inside the Madison Concourse Hotel. Walk-ins and students welcome. High quality dentistry services for adults and children. A yoga studio offering classes, events, and promoting general wellness through physical activity and nutritional coaching. A boutique salon inside the U.S. Bank Plaza on the Capitol Square offering cuts, color, men's barbering, pedicures, special event styling and paid, on-site parking. Offering post and pre race sports recovery techniques. Commercial & residential real estate, appraisal, legal services. Madison's local ESPN affiliate radio station discussing current sporting news, including up to date Badgers, Packers, Brewers, and Bucks news. Waxing services and products for her and him. Comprehensive statewide real estate services. Indoor fitness studio focusing on biking. Providing all aspects of hair design, in a private atmosphere. A local pantry and shelter assisting our community members in need. Weekly Holy Eucharist services in English and Spanish, nursery care available. Madison's premier CBD shop focusing on hemp and CBD education and consultation. Groove can host a variety of events at our space, including birthday parties (kids and adults), wedding related events (bachelorette parties, rehearsal dinners, post wedding breakfasts, pre-wedding day getting ready spot) anniversary parties, graduation parties, and corporate events. We Specialize in the latest cut and color trends. We strive to provide great service and a comfortable atmosphere. Harvest Church of Madison welcomes people from all kinds of diverse backgrounds. Sunday Service at 10:30 AM. Apartments and retail space close to UW campus. Family-owned real estate company offering in-house office and retail leasing, tenant improvement construction coordination and on-site maintenance. The Hub at Madison offers apartments and town homes at the corner of State and Frances Streets near the UW-Madison campus. Personal, business, and commercial banking. A mission church to the University of Wisconsin-Madison community. Blood and plasma donation center; providing blood and blood components since 1949. State Street's premier location for tattooing, and home to some of Madison's most talented tattoo artists. Enjoy our art gallery and event space featuring local artists. Apartments and commercial space near the UW Campus. 159 Martin Luther King Jr.
Business and personal banking solutions. 24-hour ATM. Lobby open Monday through Saturday. In downtown Madison, offering apartments near UW-Madison, MATC and Edgewood College. Each unique class will have high-energy music and a skilled instructor motivating and pushing you through the workout. Classes are designed for all skill levels. Providing preparation for all graduate school exams, including GRE, LSAT, GMAT, MCAT. Title insurance and real estate closings for residential and commercial transactions. Nail studio using waterless and non toxic materials. Luxury condominium homes inside the renovated 1924 Hotel Loraine. The technical and community college for the greater Madison area. 215 Martin Luther King Jr.
City agencies including the Parking Utility and Traffic Engineering. Madison Physical Therapy and Consulting, LLC, TM is the premier private physical therapy practice located in Madison, Wisconsin. We offer complete physical therapy services specializing in worker's comp including functional capacity exams/functional capacity evaluations (FCEs), third party injuries, orthopedic injuries, wellness services, ergonomic assessments, and consultation for individuals or businesses. Make-A-Wish Wisconsin grants the wishes of children in Wisconsin with life-threatening medical conditions to enrich the human experience with hope, strength and joy. Providing affordable residential housing and retail opportunities. Muse’s mission is to use our passion, education, and creativity to create consistently approachable hair styles. Haircuts and colors for men and women; large selection of hair care products. Personal and business banking, investments. ATM, commercial night drop. Personal training, small group training, corporate wellness, yoga and massage. Hoofers offers a variety of services to both UW affiliates and to the public including boating, outdoor rentals, and fitness classes. Upscale urban rental living, with fourteen floors of apartments plus office environments and retail space. Personal and business banking. Lobby, ATM. Private, semi-private and Pilates class sessions available. Fitness club offering group programs, classes and personal training on the Capitol Square. Campus ministry, student church and student apartment community in the University of Wisconsin–Madison campus. A pre-paid debit card that gives students and parents an alternative to on-campus meal plans. Valid at nearly 100 area restaurants. Salon and barbershop. Walk-ins welcome. University Catholic Center and ministry, offering mass and a student center. Personalized one-on-one training. By appointment only. Apartments for rent on State Street. State Farm insurance and financial products on the Capitol Square. Private residence hall for college students one block from UW-Madison campus with resident lounge areas, common area kitchens and study lounges. For 30+ years, Steve Brown Apartments has been providing quality Madison apartments for students, professionals and families with options for any individual or group: Studio apartments, Downtown Madison apartments, 2 bedroom, 3 bedroom, and up. Group exercise classes and personal training. Home to Mona Method. Local credit union offering banking and financial services. ATM. Automotive service center and tire sales since 1968. AAA approved. Student apartment building one block from UW-Madison campus. Renovated, fully furnished units, coffee bar, fitness center, study room. Private, business and commercial banking near the Capitol Square. Screenprinting, embroidery, promo products, all custom needs. Mutually owned savings and loan association. Checking, savings, certificate, HSA and retirement accounts. US Post Office services near the Capitol Square inside Madison Municipal Building. US Post Office services near the UW-Madison campus. Stanley A. Pollan, DDS. General dentistry, emergency services, cosmetic and laser dentistry. High quality urban development and property management. Offering downtown office, retail and luxury apartments from studio to two bedrooms. Committed to the financial well-being of the members we serve. Checking, savings, investments, credit cards, educational loans and more. Full array of waxing and clinical skin care services for women and men. A martial arts center offering classes in Shaolin Kempo Karate, kickboxing and women's self-defense plus private instruction and personal training. Gentle chiropractic care, massage therapy, and physio-therapy. After-hours emergency service available. Providing English classes to students from all over the world. Also hosts the Midwest Teacher Training Program. A premium retail commercial real estate service provider to landlords and retailers in Wisconsin and the Midwest. The dues-supported trade association for 255 Wisconsin credit unions. Housing and shelter for women and families, job training and transportation, and programs advancing race and gender equity. 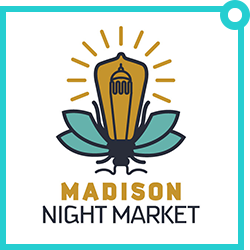 Network with Downtown Madison, Inc.